Can we apply for an Australian tourist visa for my Thai partner whilst awaiting our long term Partner visa to Australia? This is a daily question we are asked and very common and the reason is due to the Australian partner visa taking on average anything between 6 to 12 months to process and issue which is a long amount of time to be away from your Thai wife or Thai fiancee and in some terms unacceptable as nobody should be really split up away from their loved ones for this length of time. The unwritten rule for the Australian Embassy is that after you have has 3 trip to Australia or spent 9 month in Australia then they say you should know whether your Thai wife or Thai girlfriend knows if you can continue your lives together long term on a partner visa so in a way you are edged towards a long stay visa which is totally understandable because Australian tourist visas are exactly what they say they are they are designed for sight seeing and spending time with your Australian sponsor not for residing in Australia. If the thought of spending 6 to 12 months away from your Thai wife or Thai girlfriend seems too much then their is another way,, and there is simple steps you must take which start with the process of an Australian partner visa or an Australian prospective marriage visa the partner means you are married legally already and the prospective marriage visa means you wish to marry in Australia so you get your application prepared and then you would submit the visa application to the Australian VFS visa application center in Bangkok located at the Trendy Building Bangkok and pay the visa application fee, once this is paid which currently stands at 97,000 Thai baht you retain this receipts as it has your file number and visa application number on. After the application has been submitted your Thai partner will be issued an e-mail to go for a full body check and this takes approximately 2 weeks to come through and you make sure that the medical is done as soon as possible at the hospitals designated by the Australian Embassy Bangkok. 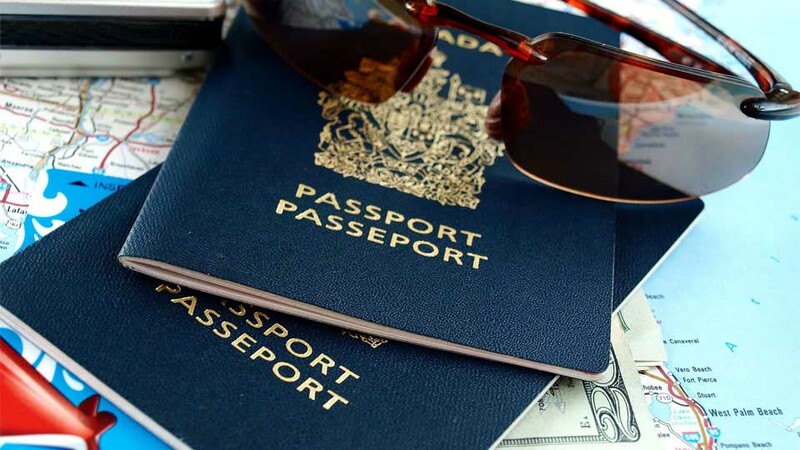 It should be noted that when you apply for an Australian Partner visa or a provisional marriage visa you are given the passport back which gives opportunity to travel whilst awaiting for the partner visa to be processed. After the medical has been completed you are then free to apply to the Australian Embassy for an Australian Tourist visa (subclass 600) explaining to the Australian Embassy that you are using this visa to be together whilst awaiting the processing of the partner visa but you must remember as part of your visa application you must add a copy of the receipt you was given when you applied for the Australian Partner or Prospective marriage visa an also a copy of the medical receipt of the Embassy may not be aware, you must also make them aware that you have already applied for the long term partner visa to Australia. In most cases because the Australian Embassy can see you are now proceeding the correct way and you have paid the large Embassy fee of 97,000 Thai baht they are well aware that there is a strong probability that your Thai partner will return to Thailand after their holiday with you during the processing time or why else would you have paid for the long term visa they are aware you just wish to spend this extra time together as a relationship and feel compelled in most cases to issuing the visa but in all cases it is at the discretion on the Australian visa officer which is why the presentation of the visa application should differ to any you may have attempted in the past. At Key Visa we do this process with many clients and offer this to the ones who are not aware making the long drawn out processing time not feel as long and give the client more time with their loved ones and it is always my advice to obtain professional help with Australian visa applications and at Key Visa we are specialists in bringing loved ones together with no hassle needed, so let the professionals process your visa applications to Australia.